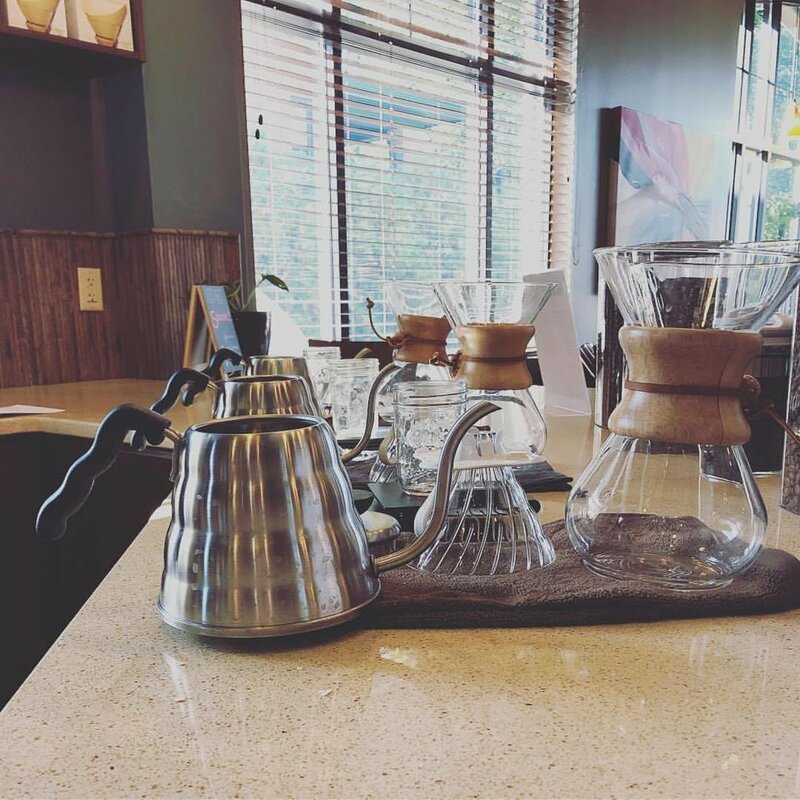 Tastefully Roasted was founded in June 2017 with the help of local baristas who have a passion for coffee. We want to bring the experience of good coffee to our customers by sharing our community at TR's. We aim to be transparent, responsible, and inclusive in all that we do, and always focus on being local—we source our products locally whenever possible, support local businesses, and seek to be involved in the Dayton community. We are Tastefully Roasted Coffee, and we believe that Local Tastes Better. Bad day? Coffee. Good day? Coffee. Working? Coffee. Studying? Coffee. Meeting friends? Coffee. Whether you're cramming for an exam, meeting up with your book club, stopping for your morning coffee on the way to work, or getting your afternoon pick-me-up, Tastefully Roasted is here for you. We've got a menu full of classics, rotating specials, delicious pastries, and breakfast, lunch, and snack options. With our cozy couches and chairs, quiet corners, large and small tables, and bar seating, we've got a space for everyone (with plenty of outlets!). Grab a coffee to go or grab a seat, we're glad you're here. Check out what we've been up to lately on our Instagram feed below, or follow us using these handy buttons.